The URLs and navigation of a website are crucial aspects of search engine optimization (SEO). However, the main elements of SEO structure that create an effect on the SEO activities don’t end here. For example, let us have a look on the sub-domains and sub-directories, they are related to the structural elements of a website and they definitely have an influence on how Google ranks the results. There are situations when it really matters if you are using a sub-domain or a sub-directory. How Is A Sub-Domain Different From A Sub-Directory? The sub-domain name is shown before your main domain. This factor tells your visors and Google that the content of the sub-domain is different from the content of the main domain. Typical use of a sub-domain is done for business websites that also have a blog that is considered to be different from the rest of the website and therefore it is located on a sub-domain of its own; for example : blog.yourbusinesswebsite.com. Websites that contain forum and other content like articles also use a sub-domain for differentiating that part; for example: forum.yourcompanywebsite.com. The difference between sub-domains and sub-directories does not only lie in the syntax. It is beyond the syntax and it is mainly related to the type of content you add. There is no rule about when you are supposed to use sub-domains and sub-directories. If you are of the opinion that the content you are posting is ideal for a new website, then you can opt for a sub-domain. If the content you are posting is in line with the content of your main website content, then the best option is to create a sub-directory. For instance, if you own a blog about web design, you can create separate sub-directories for tutorials, your artwork, free stuff etc. 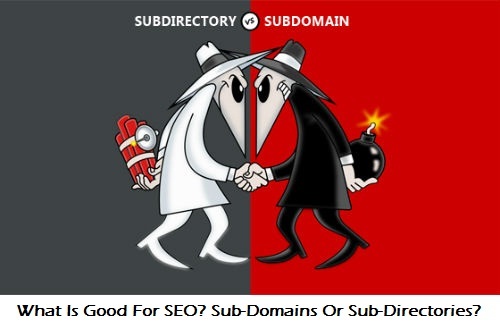 It is difficult to determine if sub-domains are good for SEO or not as it depends on many other factors. However, one of the situations when you will benefit by having a sub-domain is when you have multiple pages for the same keyword on your website. Google usually has a restriction on the number of search results per domain unless they are relevant; however, this does not apply to the sub-domains. In simple words, if you have a domain with sub-directories and you have 10 relevant results, there is a possibility that Google will show only 2 or 3 of them. However, if you have 5 sub-domains, there are chances that 2 or 3 results will be displayed per sub-domain. Do not take this for granted and do not take any hasty decision of having sub-domains in order to trick Google to display more results from your website as this might not work and you will spend a lot of time and efforts on it. Another advantage of having sub-domains is that you can use your keywords as sub-domains. This is beneficial if your main domain name lacks the keywords. For example if your main domain name is healthbenefits.com and if you also post a lot of information about addiction; then it makes sense to create a separate sub-domain with any of the ‘addiction’ keywords. SEO advantages for sub-domains are tangible and there are drawbacks as well. For instance: the sub-domains are difficult to set and manage. Another main disadvantage is that the sub-domain does not inherit the SEO metrics from the main domain. For example, if your main domain is PR 4, then your sub-domain could be PR 0 or PR 1. For Google your domain and sub-domain is not closely related. In many instances, this factor alone is enough for making you give up on the idea of using sub-domains. The sub-domains do not inherit any metrics from the main domain; this means that you will have to optimize the sub-domain from scratch. If you are expecting a long list of SEO benefits for sub-directories, then you might be a little disappointed as there are only two main SEO benefits of using sub-directories. First : Similar to the sub-domains, you can have one of your keywords as the sub-directory. Second : Sub-directories do inherit the metrics of your main / root domain. This means that if your website is doing well online, the sub-directory will automatically get the benefits. The main SEO disadvantage of sub-directories is that they can limit your exposure in case the search results are already saturated with pages from your website. as mentioned earlier, Google has a restriction on the number of search results shown per domain. Therefore, if your website has more number of pages that are relevant, they might not show up in the main search results. What Is Right For You? Sub-Domain Or Sub-Directory? Use sub-domains if you have to cover large topics; for example, if you have a health website, it makes sense to have separate domains for every major group of diseases (cardiovascular, respiratory etc.) and then you can create a sub-directory for these diseases in this group (heart attack, flu, fever etc.). Moreover, if your website consists of a forum or a blog, then you can use sun-domains for hosting the forum or blog. For example : forum.yourdomainname.com or blog.yourdomainname.com. 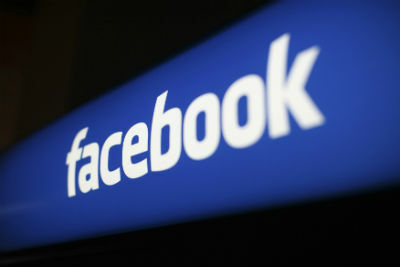 The above mentioned information consists of general recommendations and there is no need for you to follow it blindly. The ultimate test is to check what works for your website! So are you using a sub-domain or a sub-directory? And what are you using it for? I would love to know your opinions…..
Next story Google Releases Penguin 3.0 – Latest Google Update After A Year!